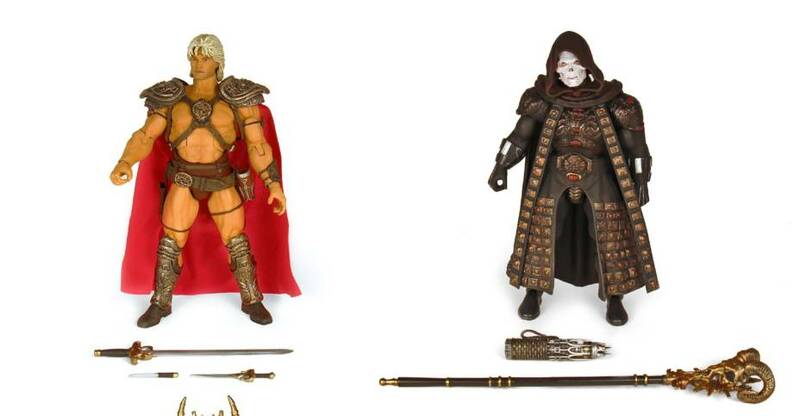 Super 7 has posted an update with a new assortment of MOTU ReActin Figures. Next week, the new Masters of the Universe ReAction Variable Variants will be released. 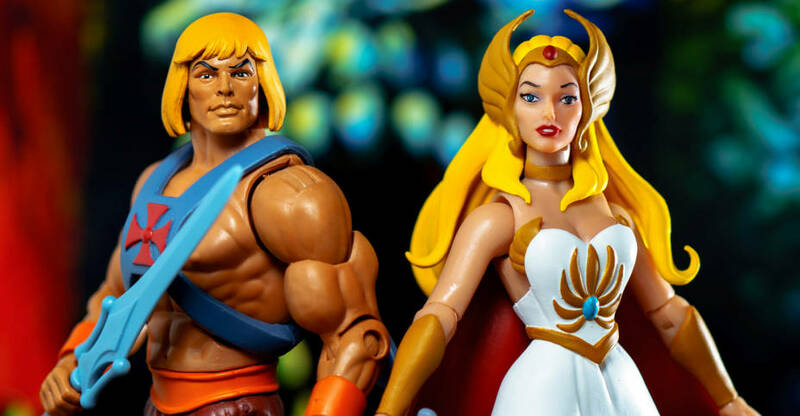 These features recolored versions of previously released figures, with each based on a unique piece of MOTU history. Check out the details below, and the photos after the jump. Arriving next week: The Super7 ReAction Figure World welcomes more Masters of the Universe with the Variable Variants! Test your Eternian Expertise with the most powerful deep cuts in the universe! Who knows where each of these colorways comes from?! 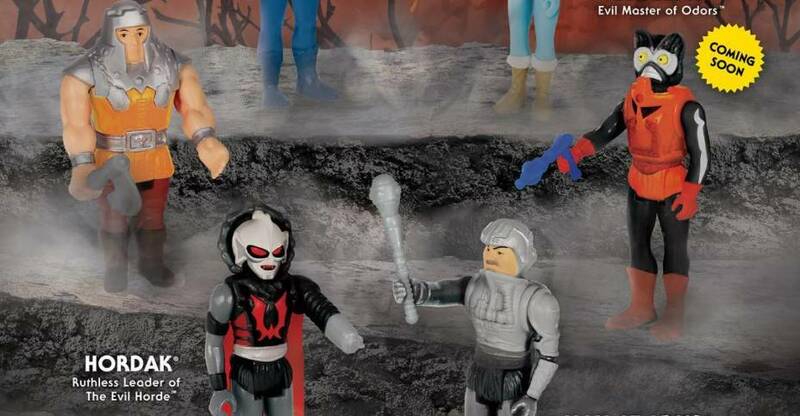 The latest assortment includes Hordak, Man-At-Arms, Mer-Man, Ram Man, and Teela in exclusive colorways inspired by different sources in the MOTU World. This will be a Limited Edition one-time release that will drop next Wednesday (4/17) only in the Super7 webstore. Stinkor is also in the mix but will arrive later in the near future. 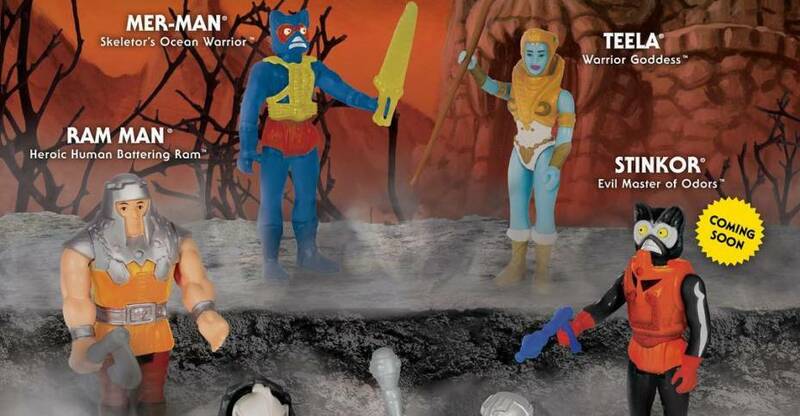 An additional Masters of the Universe ReAction Figure variant has been revealed by Super 7. Next week, they will also have available the Slime Pit He-Man Figure. OMG! The Slime has turned He-Man into a Slime Monster! This horrific scenario comes to haunt the Super7 ReAction Figure line with the clear slime green He-Man 3.75″ ReAction Figure. AAAARGH! This will be a limited edition release that drops next Wednesday (4/17) only from Super7. 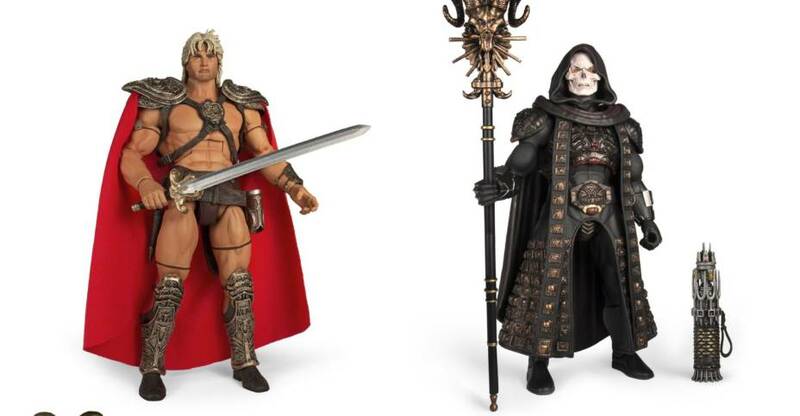 Super 7 has opened up pre-orders for a slew of new Masters of the Universe Vintage 5.5″ Scale Figures. These include the MOTU Vintage Wave 4 figures, and vintage 5.5″ He-Man and Skeletor in Japanese box packaging. Pre-orders for these items last until Tuesday, April 30th. Each figure can be ordered individually, at a price of $20 each. Pre-order by Clicking Here. Check out photos and full details after the jump. Solicitations have gone out for the Masters of the Universe Faker 1/6 Scale Figure. This version of the figure is a Previews Exclusive, which will be available via most online collectible stores. Mondo should be offering their own version soon, which will at least include an additional battle damaged head sculpt. 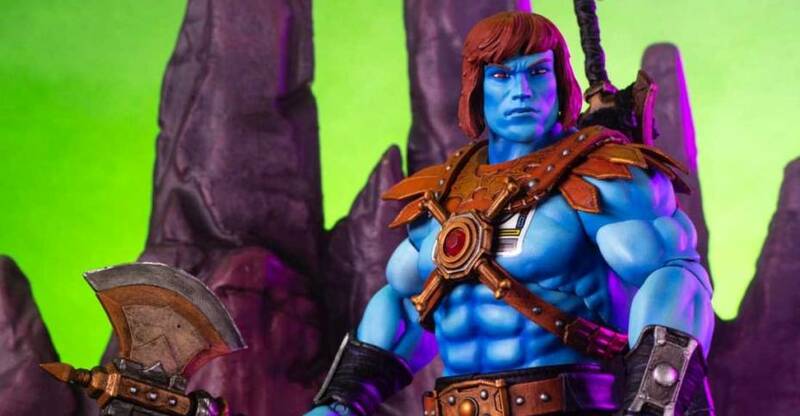 Faker joins both Skeletor And He-Man in Mondo‘s 12″ take on the heroes and villains from MOTU. The figure will include two swappable portraits, interchangeable hands, a sword and sheath, a battle axe, a shield, and a blaster rifle. Faker has over 30 points of articulation. It’s priced at $160, with a release set for the end of June. Check out details and pre-order links below. See the new photos after the jump. A PREVIEWS Exclusive! By the Power of Grayskull, you too can have the Power! Mondo is proud to bring you the third in the Masters of the Universe 1/6 scale figure line: Faker! 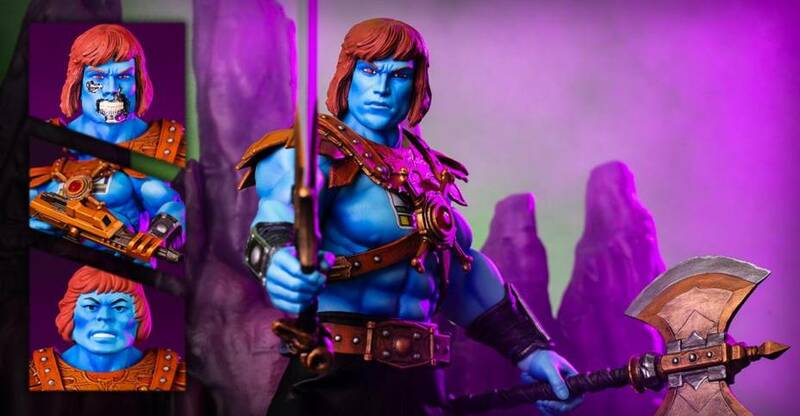 Featuring over 30 points of articulation, fabric costume elements, and a lot of accessories, this is the most powerfully fake figure you will ever find, from here to Eternia! The figure includes a Regular Portrait, Vintage Portrait, Power Sword, Sheath, Shield, Battle Axe, Rifle Blaster, 6 interchangeable hands, and a figure stand. This version is a PREVIEWS Exclusive and is available only from authorized Diamond dealers, so don’t miss out! Over the weekend, Power-Con opened up tickets sales and attendee pre-orders for the exclusives. For those attending the show, you have until April 7th to place your pre-orders for the show exclusives. Non-Attendees will get a chance to pre-order any remaining items starting April 8th via BigBadToyStore in the USA and S.P.A.C.E. in Germany. There are multiple exclusives available, including a new figure Slamurai and Snake Trooper 3-Pack, a Horde Zombie He-Man, a 12″ Starburst She-Ra, and the newly revealed MOTU Holiday Wrapping Paper, featuring artwork by Earl Norem. Check below for pricing details. Children under the age of 12 may enter the show for free, but must be accompanied by a ticketed parent or guardian, 18 years or older. This is the same general access granted by Saturday, Sunday, or Weekend passes. The Tickets and Pre-Sale Page can be found Here. There is a LOT of additional info available. I highly suggest checking out the Info & FAQ Page for more details. You can see photos of the exclusives after the jump. This pre-order is open until March 31, 2019 with shipping in Summer 2019. Visit the Pre-Order shop for details and ordering.